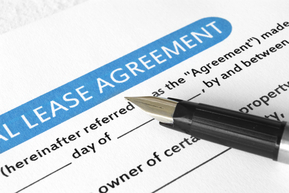 Law Web: Whether unregistered lease deed can be used for collateral purposes? Coram : R.K. Deshpande, J.
No.2 is before this Court in this second appeal. possession as well as for arrears of rent of Rs.810/­ has been passed. defendant No.1 became tenant of suit property. 2. Whether Ex.50 was inadmissible in evidence. plaint, he was joined as the party to avoid the further complications. was stopped. However, the money order sent came back to him. returned to him, as it was refused. the period 15.7.85 to 14.4.86? the month of February 1986? enhanced to Rs.90/­ from Rs.60/­ p.m.
from the month of February 1986? the finding that the rent was at the rate of Rs.90/­ per month. record, could not depose about the execution of this document. the plaintiff, and that of the defendant No.1. signed the document in his presence. law arises for consideration out of such findings. Nos.1 and 3 are, therefore, answered accordingly. dismissed. No order as to costs. not been dealt with in this judgment, which is dictated in open Court. other point which Shri Bhangde has urged. the litigants about the consequences of it, which can be avoided. Bar Council of India or of State, which issued him a Sanad of Practice. Such a stage by a Court may be construed of blacklisting of a lawyer. Seldom, such event occurs, and the Courts also normally avoid it. asking him or them to recuse to hear and decide the matter.